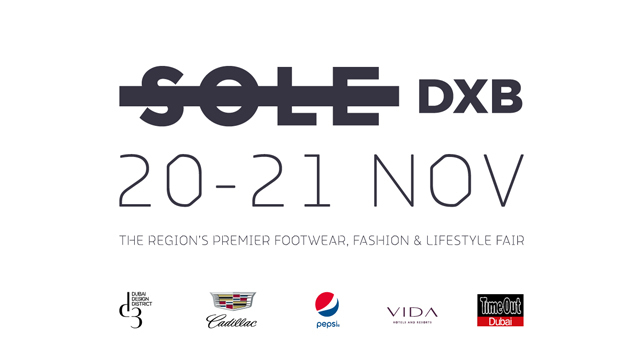 Sole DXB, the celebrated two-day festival sprung out of Dubai, returns this November 20 & 21, 2015 at d3. The event opens up its doors to some of the biggest music Hip Hop acts such as Mobb Deep, performing live on Saturday 21st November at the Sole DXB & ALIFE Sessions. Alo Wala, IAMNOBODI, The Recipe + DJ Shero, Tom Crane, Dave Lubin, Mega Don, Shadi Megallaa, Shef Codes, James Locksmith, Kev Fresh, Essarai, Frezidante, DJ Mocity, Aeli, DJ Aries, JC Pinto. Nile. Majeed, Moh Flow and Malikah. Sole launched in September 2010 as a communication platform for all the latest and relevant news in footwear, fashion, design and alternative culture in The Middle East. Since its inception, Sole has grown leaps and bounds from its humble beginnings to a highly trafficked and well-respected platform. Taking product design and brand marketing as the new frontier in compelling others to think differently, create distinctively and communicate effectively. Sole aims to inspire and encourage growth within the design and progressive fashion sector in the region. Sole DXB collaborates with internationally acclaimed artist and photographer Hassan Hajjaj to create the event’s first ever campaign in color. A series of vibrant images that embody their shared ethos around art, music, fashion and urban culture – campaign ‘Mr Amine Bendriouch’ offers a contemporary window into Dubai’s cultural melting pot city. Inspiration for the campaign was derived from Hassan’s childhood. Born in Morocco, families would routinely head to studios for their latest portraits, dressing up in traditional garb set against makeshift backdrops. The latest campaign, featuring Amine Bendriouch, who was born in the same village as Hassan, is an expression of this traditional Middle Eastern culture, now reborn in color – and a reflection of the cultural movement which Sole DXB symbolizes. Born in Larache, Morocco in 1961, Hassan arrived in London in his teens and grew up amid the emerging club culture in the UK. Known as the Andy Warhol of Marrakech, Hassan is a child of the pop art generation. His oeuvre includes photography; designing and producing furniture made from recycled North African objects; crafting custom made clothes; and, most recently, filmmaking. He has gained popularity for his iconic portraits of personalities from the world of music, art, performance, fashion and sports, mixed with portrayal of his own special friends and the henna girls of Marrakech – many of which have been shown in major galleries, institutions and museums around the world. Hassan lives and works between London and Marrakech, and is represented by The Third Line, Dubai. Amine Bendriouich was selected as the face of the 2015 campaign as a celebrated young designer, based between Casablanca and Berlin, who has come to be associated with the aesthetics of street style, androgyny and experimental urban culture; one which doesn’t align itself to any definition and mainstream trend. The Third Line is a Dubai based art gallery that represents contemporary Middle Eastern artists locally, regionally and internationally. The Third Line also hosts non- profit, alternative programs to increase interest and dialogue in the region. The Third Line also publishes books by associated artists from the region. Books published to date include Presence by photographer Lamya Gargash (2008), In Absentia by Tarek Al-Ghoussein (2009), Cosmic Geometry, an extensive monograph on Monir Shahroudy Farmanfarmaian, edited by Hans Ulrich Obrist and Karen Marta (2011), and the self-titled treatise Huda Lutfi about the artist’s Cairo based practice. Represented artists include: Abbas Akhavan, Ala Ebtekar, Amir H. Fallah, Arwa Abouon, Babak Golkar, Ebtisam Abdulaziz, Farhad Moshiri, Fouad Elkoury, Golnaz Fathi, Hassan Hajjaj, Hayv Kahraman, Huda Lutfi, Joana Hadjithomas & Khalil Joreige, Laleh Khorramian, Lamya Gargash, Monir Shahroudy Farmanfarmaian, Pouran Jinchi, Rana Begum, Sahand Hesamiyan, Sara Naim, Sherin Guirguis, Shirin Aliabadi, Slavs and Tatars, Sophia Al-Maria, Tarek Al-Ghoussein, Youssef Nabil and Zineb Sedira. As d3 evolves so will its facilities, to include everything from cutting-edge workshops and renowned design institutes, to original residential, hospitality, retail and office space. Its public spaces will be distinct and characterized by unique street furniture and shaded walkways. By 2018, d3 will feature a one million square foot Creative Community, which will act as the site’s cultural epicenter, inspiring emerging designers and artists, and attracting tourists to the area. By 2019, d3 will also boast a bustling, 1.8km esplanade running alongside the Dubai Creek, which is where international and design led hotels, a pop-up shop area, and an amphitheater will all be located. All of these various elements have been carefully designed to ensure that the creative thinkers using and visiting d3 every day have an energized and culture rich environment where they can coexist. Cadillac has been a leading luxury auto brand since 1902. Today Cadillac is growing globally, driven by an expanding product portfolio featuring dramatic design and technology. Described as luxurious, having a bold and daring personality, being tough and strong as well as safe and powerful, Cadillac has maintained an iconic presence for over 85 years in the Middle East. Cadillac Pioneered style with the first ever car designed by a stylist rather than an engineer in 1920 with the La Salle, which set the brand on a course that has been synonymous with the style, fashion and trend of every Era since its inception. This spirit of co-conspiracy to the most talented of creative and daring minds will carry on and be the core of the current transformation the Cadillac brand is undergoing. For more information, please visit www.cadillacarabia.com. Vida Hotels and Resorts, another brand under Emaar Hospitality Group, is a refreshingly different hotel concept for the new generation of business executives, entrepreneurs and leisure travellers. Vida, meaning ‘life’ in Spanish, embraces warmth, simplicity and youthful vitality. Billed as ‘an urban hub where inspiring minds stay, play and connect,’ Vida hotels create a stimulating environment for the younger generation who demands all the frills of modern luxury travel but none of the fuss. Vida has two hotels in Dubai – Vida Downtown Dubai and Manzil Downtown Dubai – and will extend its service competencies to Vida Residence, The Hills and Vida Residence Downtown Dubai. Marking its organic expansion in the UAE, Vida Hotels and Resorts has also signed an agreement to operate a lifestyle boutique hotel and serviced residences in Town Square, the flagship development of Nshama, a private developer of integrated lifestyle communities. Going international, Vida Hotels and Resorts will operate Vida Marassi Al Bahrain and Vida Residences Marassi Al Bahrain through a management agreement. The Middle East’s most dynamic city is a natural Time Out habitat, and has proved so since 2001 when Time Out Dubai launched. Over this period, Time Out has mirrored the astonishing growth of the region, evolving from a monthly edition to a weekly, with a raft of complementary supplements, standalone products and awards ceremonies being launched under the Time Out banner. In keeping with Time Out‘s global reputation, Time Out Dubai targets the large proportion of well-educated residents who are open to new ideas and influences. Each week, the magazine reviews the city’s best restaurants and bars, previews the best gigs and events in town and gives useful travel tips and destination ideas. As the city’s benchmark for credible, objective editorial, the magazine actively influences consumer decisions in Dubai. Bass pioneers Copia Doble Systema, the live show swanks energetically charged vocals delivered by Shivani and hefty percussion. ALO WALA is the sound of a new Europe, a new world, and a new way of thinking about one another as belonging to an interconnected global society. Today in a time when dancehall and Hip-Hop informed culture has taken hold worldwide, local club DJs, multilingual rappers and bedroom producers are coming into their own and becoming leaders of a new generation. to house to traditional Hip-Hop and diverse electronic sounds, his creations take on a life of their own with each song a unique and carefully put together masterpiece. The Recipe + DJ Shero: The Recipe began as a project designed to bring talented Hip-Hop artists in the United Arab Emirates together to record a compilation album and help promote the culture. Today, The Recipe is a group that consists of 3 MC’s working on an official studio album while continuing to perform and push the boundaries of regional Hip-Hop achievements. Tom Crane: Tom was nominated for and won Best DJ in 2008 then again in 2011 at the London Club and Bar Awards. Tom has played along side greats, such as Louie Vega, Art Department, Kerri Chandler, NIma Gorgi, Richie Ahmed, Robert Owens and Norman Jay. Not to mention the private parties and events for the likes of Kanye West, Rihanna, Donatella Versace and Chanel amongst others. Tom returns to Sole DXB this November. Megadon: Mostyn Rischmueller producer, promoter, label owner and man behind the Megadon Betamax moniker. Producer and DJ for over 20 years, and a founding member of Dubai’s DUST Crew. Shadi Megallaa: Shadi’s live PA is an incredible voyage through sounds, rhythms and something unexplainable which only Shadi knows the secret. 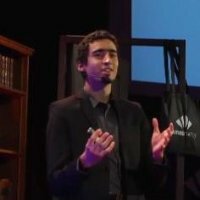 Music is a globally uniting force and Shadi Megallaa expresses it in his unique way. Born in Cairo, Egypt, this 33 year old was raised in Abu Dhabi. Shef Codes: Mr. Shef Codes stands out among his peers for his clever mixes, introducing new and unique songs, rotating the classics and ability to read the crowd. He has had numerous “DJ of the Year” nominations, opened for and shared the stage with artists such as DJ Jazzy Jeff and Nicki Minaj. James Locksmith: Hailing from Sydney Australia, James Locksmith is a DJ, producer and is known as an independent music specialist. Since early 2012 James has been part of the development of Red Bull Music Academy and RBMA Bass Camp in Dubai and the region. Kev Fresh: Kev Fresh is a renowned party starter with DJ sets that cross genres from old school to new school and everything in between. He seamlessly fuses the past, present and future styles of Hip-Hop, Rap, Trap, Funk, Bmore, Rappin’ Electro, Booty Bass, and house. Essarai: When it comes to music, one of his main motivations is to see people get excited about music that they don’t know. He enjoys collecting records that would suit many different occasions and try to avoid being pigeonholed into a genre or scene by keeping his cards pretty close to his chest. Frezidante: FREZIDANTE is from London and been in the Dubai scene for over 10 years. He is a graffiti artist and is part founder of Deep Crates, a Dubai based organisation of like minded DJs, Street Artists, Graff Writers, BBoys, Producers, Vinyl junkies & Musicians. Aeli: He’s a DJ member of The 264. Multi instrumentalist, plays guitars, piano and drums. Mostly inspired in composing by The Mars Volta and Nine Inch Nails in their way to cross the boundaries with total freedom. He’s using those influences to produce Neo Hip-Hop beats. DJ Aries: DJ Aries has seen the rise of distinctive quality music coming from her homeland of Africa and other hidden gems of the world. Consider this lady DJ one of a kind an unconventional, devout music concierge who the represents the modern woman through her vision of music and creative ventures. JC Pinto: His stompin’ style (a crossover between various subgenres of house music) and his ability to read a crowd, has given him quick recognition amongst local DJs and clubbers. Moh Flow: Moh Flow, is a citizen of the world. The Syrian-Palestinian rapper has been making music since 2010. His music emotes the facets of art, design and film in a bid to rediscover the Middle Eastern roots in the universal law of creativity. Malikah: Malikah, “Queen of Arab Hip-Hop”, continues to stun audiences throughout the Arab world with her hard-hitting rhyme-style, is the first Arab female MC to reach NRJ radio network’s top 20 billboard chart in the Middle East.